Users usually have to broadcast live on Twitter through the Periscope app. Now, the company is making the Producer service more accessible to users with the introduction of a new API. The Producer API is currently available in the form of a private beta that allows developers and broadcasters to live stream on Twitter through their camera, computer, VR headset or any other device that does not directly connect through the Periscope app. Let’s see some more details on the subject. 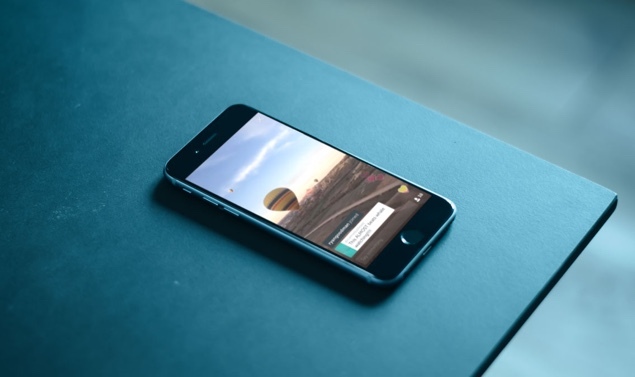 The new API basically frees producers to live stream through the Periscope app. This open up new possibilities as the range of external devices to support it is pretty extensive. Some of the early partners who have already signed up for the Periscope Producer API includes Livestream, Telestream, Switchboard Cloud and Teradek. If you’re a broadcaster, you can sign up here to use the new API. Periscope Producer was initially introduced in October that aims to provide celebrities and influencers with high quality live video without using the Periscope app in their smartphones. All third-party apps can authenticate Periscope accounts, manage broadcasts, configure streams and finally share the live video on Twitter using the API. Seamless authentication is also supported between the software and the company’s video platform. Twitter in its announcement post cites that the move comes from a high demand of high quality video broadcasts from the users of Periscope Producer. The basic purpose of the API is to bypass the need to go through the Periscope app. This will allow producers to connect their external supported devices and live stream high quality video directly to Twitter. All in all, it’s a pretty neat addition and not many live streaming platforms offer it currently. Social media platforms like Facebook and Twitter are focusing heavily on the live video aspect. With this Producer API, the company shows its dedication to the category. However, compared to Facebook, Twitter is nearly a year late when it comes to connecting external hardware to live stream videos. Nonetheless, we’re glad it’s heading in the right direction. Overall, it’s a good move by Twitter that will encourage broadcaster and content creators to step up their game. Apart from this, if it pans out as expected, it will generate a whole lot of views. This is it for now, folks. What are your thoughts on Twitter’s new Producer API for broadcasters? Share your thoughts with us in the comments.